Tuesday 7th May 2019: So you think you know Nottingham? Next meeting - all welcome: Saturday 27th April from 10.30am to 1.00pm. Members of the public and the Society are invited . . . Welcome to the Ilkeston and District Local History Society (IDLHS) website. If you are a new visitor, please find time to browse through the pages. The site features information on the history of Ilkeston and district and you can find details on the About the IDLHS page. We are organising a bus trip to the Black Country Living Museum on Sunday 8th September 2019. The cost of the coach will be met by the Society (although non-member will be asked to contribute £8.50). Places are limited and priority will be given to members of the Society. You will lose your deposit should you cancel and we cannot fill your place on the bus. While the grand days of the Cooperative store have gone, we can still remember the cultural and commercial contribution that the Cooperative Society made to the town. 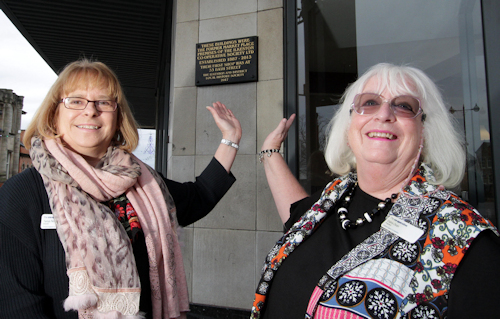 Many familes were supported from cradle to grave, first from a little shop in Bath Street and later from the department store that grew over many years to be a major feature of the Market Place, where the new plaque can be found. We were joined for the unveiling by Tanya Noon, Director of Members' Services and Elaine Dean, President of Central England Cooperative. Can you help a local researcher? Jeff Wynch is researching the history of cycling in Ilkeston from its earliest days up to about 1914. A major topic is the Ilkeston Bicycle Club, its members and their sporting and social activities. Most of the local elite were members, and Fred Fletcher (double national champion, 1889) and GW Howard were the best riders. Jeff is also interested in the local cycle trade — retailers, manufacturers and inventors. Joseph Hollis of Bath Street was all three. Even Fred Fletcher had a few patents to his name. Documentary sources, artefacts and photographs are all difficult to find, and most information so far is from the two local papers of the time. Even the cycle track and the Bicycle Club HQ (The Manor Ground and the Rutland Hotel) have gone. Any help in finding further sources of information on anything cycle related would be welcome. You can reach Jeff through the contact page. 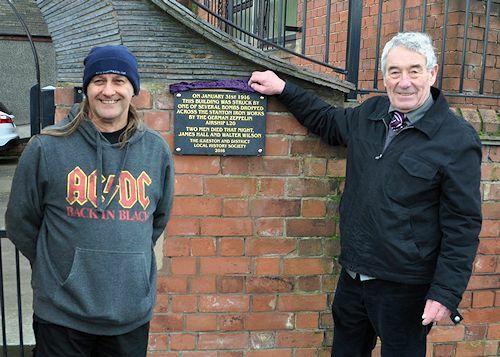 Our latest commemorative plaque wwas unveiled on Thursday 24th November at 61 South Street — Ogden’s the Butcher. Harry Stanley Hawley, known as Stanley, was born on South Street and became an internationally known pianist and composer. His father was a butcher and died before Stanley's first birthday. Stanley attended Derby Grammar School on a scholarship and at only 15 he became organist at the Independent Chapel in Pimlico, Ilkeston. A year later he won a scholarship to the Royal Academy of Music. Two of his compositions, The Bells and Riding through the broom were performed at the Proms in 1895. When composer Edvard Grieg heard Hawley play his piano concerto at the Queen's Hall he declared that Hawley played it much better than him! He was secretary of the Royal Philharmonic Society and did much to promote British Music, being elected a Fellow of the Royal Academy of Music. His portrait by Frank Mura hangs in the gallery there. In 1907 he played the organ at his mother’s funeral service in St Mary’s Church, Ilkeston. While at the height of his powers in London, Stanley developed a blood clot on the brain. He was moved back to Ilkeston where he sadly died at his sister’s house on Derby Road, aged only 49 on June 13th 1916. Much more on Stanley’s life can be found in our new book — details below. 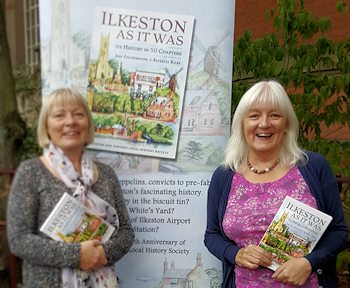 A look at some of the events, people and things that have shaped the Ilkeston we know today and celebrating 50 years of the Ilkeston and District Local History Society. Copies of the new book are available at just £10 (£13.50 by post). The book is an unusual format and a new departure for the Society. 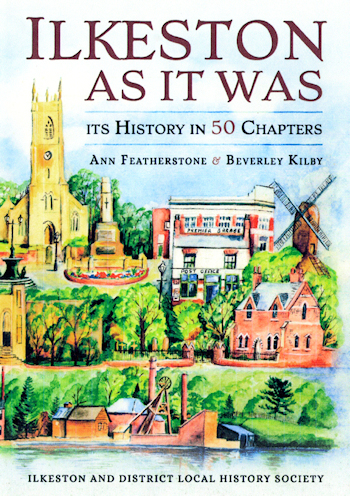 There are 50 chapters, each taking a different topic in Ilkeston’s history, from British Restaurants to Windmills to the Beauty Spot and the Mines Rescue. It delves back into the 16th century and the Weaver Pool, the 18th century for St Mary’s clock and comes up to date with the Spitfire Fund of the 1940s and the building of Kirk Hallam Infant School in the 1950s. Little known regions and buildings are uncovered: the soot factory on Rutland Street, the Empress Theatre and The Nook, a house on Wilmot Street which has become part of the HSBC bank. Local people’s recollections of the sounds and smells of Ilkeston have been gathered using the Il’son Bygones group on Facebook, and they have also contributed to the chapter about pre-fab housing, recalling their homes on Erewash Square. The book proved very popular at the launch, with keen customers buying multiple copies to send as Christmas presents to relatives round the world. Copies are also available by mail order through our Publications page. Available from Blinks on South Street, Ilkeston Library, Erewash Museum, U-Choose on Bath Street and the Coffee Bean lower Bath Street, priced £6. Also available by post at £7.50, including carriage — please see the Publications page, which has details of all books and maps published by the Society. 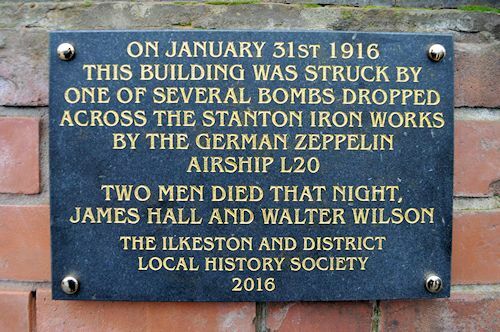 On 31st January 1916 a Zeppelin flew over the East Midlands passing over Ilkeston and the Stanton Iron Works and dropping bombs on the way. This plaque, placed on the north wall of St Bartholemew’s Church in Hallam Fields, records the event and the names of the only two local men who lost their lives that night, Walter Wilson of Station Road Ilkeston and James Hall of Stapleford. 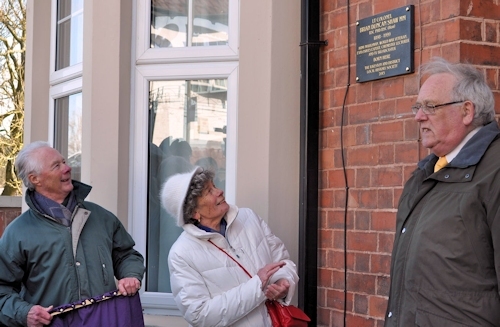 The plaque was unveiled by Fred Wilson, the great nephew of Walter Wilson. Who’s that with Danny Corns? 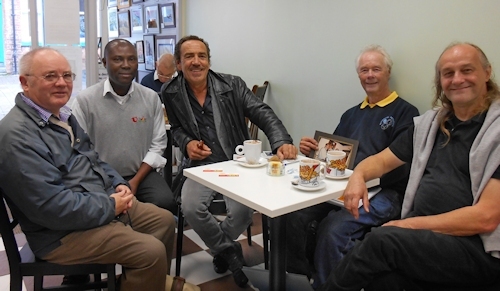 Ilkeston-born actor Robert Lindsay met with the Society’s President Danny and Chairman Stephen Flinders at Paul’s Smoothie Bar on Bath Street, Ilkeston recently to discuss events for the Society’s Golden Jubilee Year, of which he has very kindly agreed to be Patron. He’s seen in this photograph talking with two good friends of the Society, Robert Attewell of Ilkeston Life newspaper (left) and Paul Opiah, Smoothie Bar Proprietor. 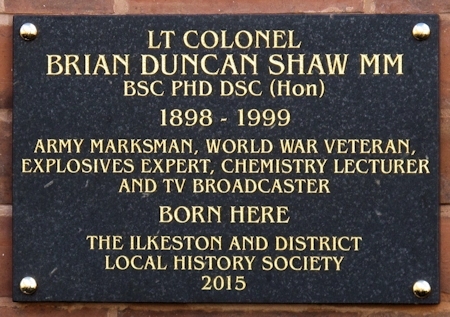 Seasoned spokesperson for the Society, Danny Corns was very pleased to conclude a project to commemorate the birthplace of an internationally-known son of Ilkeston, Lieutenant Colonel Brian Duncan Shaw. 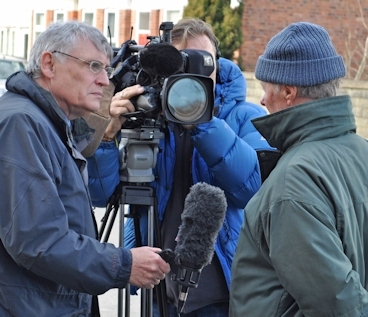 His story will appear in the next Herald. Acknowledgements: The Society would like to sincerely thank Erewash Museum and Ilkeston Library for the use of its photographic collection. All the material found on this website is the copyright of the Ilkeston and District Local History Society and/or contributors © 2011. The IDHLS has no objection to anyone wishing to use or to print out this material for private or academic use, however it would be appreciated if an acknowledgement as to the material’s origin is mentioned if used.